Awwwwwwww, gotta love this image. It's picture post card perfect. And thanks for linking this weekend. All the other birders will appreciate your wonderful share. I wish we had Humming Birds. Lovely picture. Cute shot of the hummer, Misty! Thanks for hosting.. Happy weekend! Gorgeous photos of the hummers, Misty! They never do. Somebody's always getting chased away. beautiful. 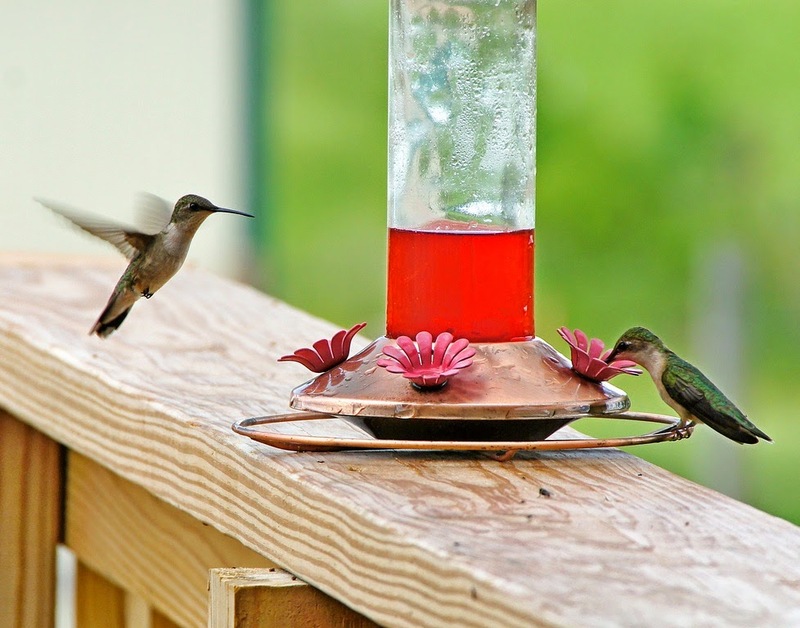 I love to watch hummers. The males are very territorial. A gorgeous capture! In New Mexico we had the Rufous Hummers which arrived in early July and they ruled the feeders absolutely. Wonderful capture. I was surprised at how they fought when I put my feeder up last summer. They are just so beautiful, aren't they? Great photo! I love your pups in the header, too! I've come from Anni's and it's so great to meet you! Lovely image of the Hummers. Boy they sure don't share well- that's a fact!